Convert your Ruger Mark I, II or III Pistol into a lightweight, easy packing tack driver with our new Pac-Lite "upper" barrel system. These threaded end barrels replace your factory barrel and receiver with lightweight anodized aluminum (the barrel is lined with precision button rifled steel). This Pac-lite barrel includes adjustable iron sights and a threaded muzzle with thread protector. Muzzle threaded 1/2x28 for suppressor or compensator. Drilled and Tapped for a Pac-Lite scope base. 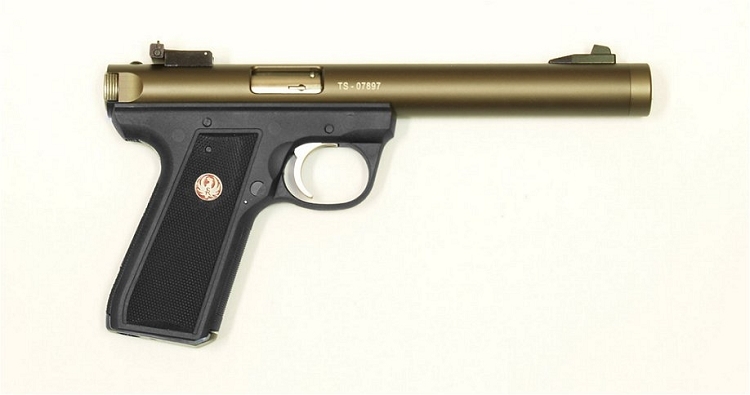 - Ruger, Mk I, Mk II, Mk III, and 22/45 are trademarks of Sturm, Ruger & Co. Inc. I would give the Pac-Lite 22LR barrel and receiver 7 stars out of 5. 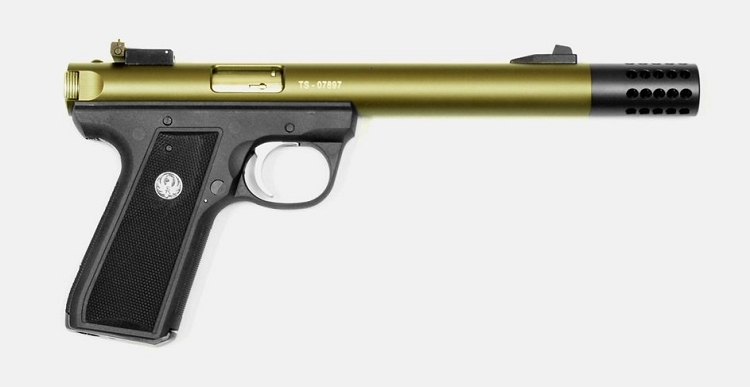 The original Ruger barrel/receiver alone weighs more than the entire Ruger pistol with the new Pac-Lite mounted onto it. Most important, at about sixty yards and at a standing off-hand position, I consistently hit a small 16 ounce Berzomatic propane can of the type used for camping. I'm very pleased with the Pac-Lite 22LR barrel/receiver. Very accurate.